Whatever your occasion may be, Dinner Plain is fully equipped to cater to your needs. 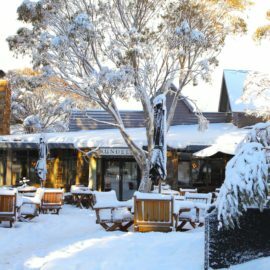 Located at the height of the Great Alpine Road adjacent to the Alpine National Park, Dinner Plain village sets the benchmark in Australia for alpine style and provides a wealth of options and experiences for your group. Open all year round, you will find a range of ways for your group to get the most out of an alpine visit, including self-guided or guided alpine walks, mountain biking, fly fishing, organised trail horse riding, cross country skiing, snow shoeing and downhill skiing at nearby Hotham or for something more indulgent, take a treatment at the Onsen Retreat + Spa or enjoy fireside dining in one of the local eateries. Getting around is easy with all facilities in easy walking distance from your accommodation. 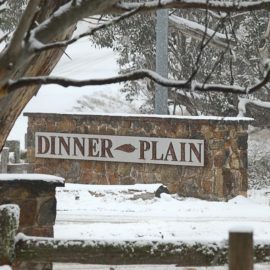 With over 1,900 beds in the village, Dinner Plain offers groups fully catered hotel room accommodation with single/twin share rooms and has a large range of self-contained chalets and apartments suitable for the budget conscious to the luxury group. There are a number of venues in Dinner Plain that can cater for groups, conferences and events, with a range of options to suit your needs. Facilities include restaurants and cafés open year round, a spa with gymnasium and a lap pool, hair stylist, bike hire, tennis courts, giant outdoor chest game, tubing, pump track and guided walks.